Whirlpool 26 cu.ft. 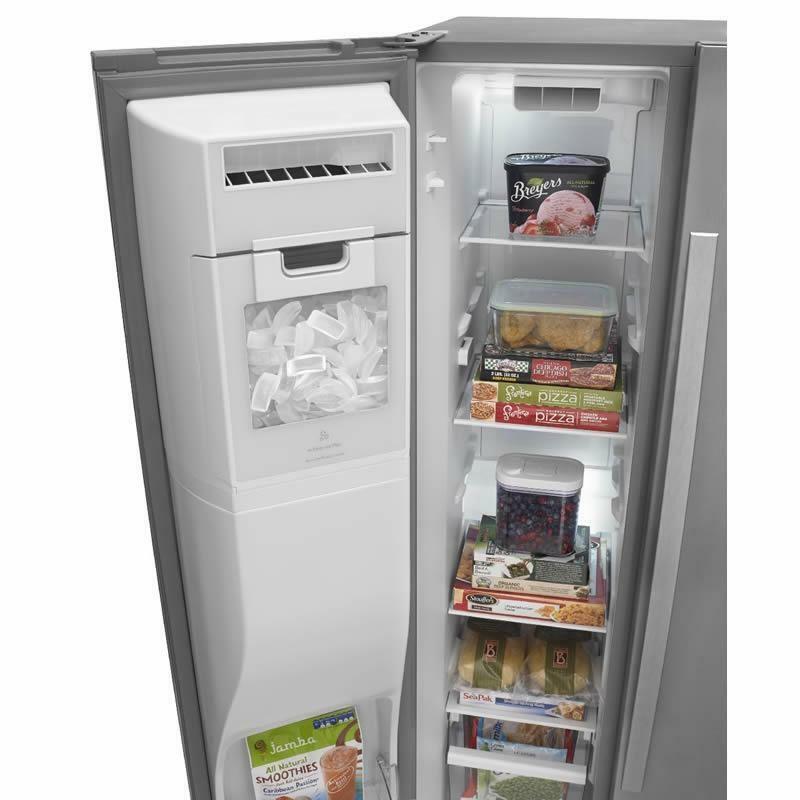 side-by-side refrigerator with In-Door-Ice® Plus system. 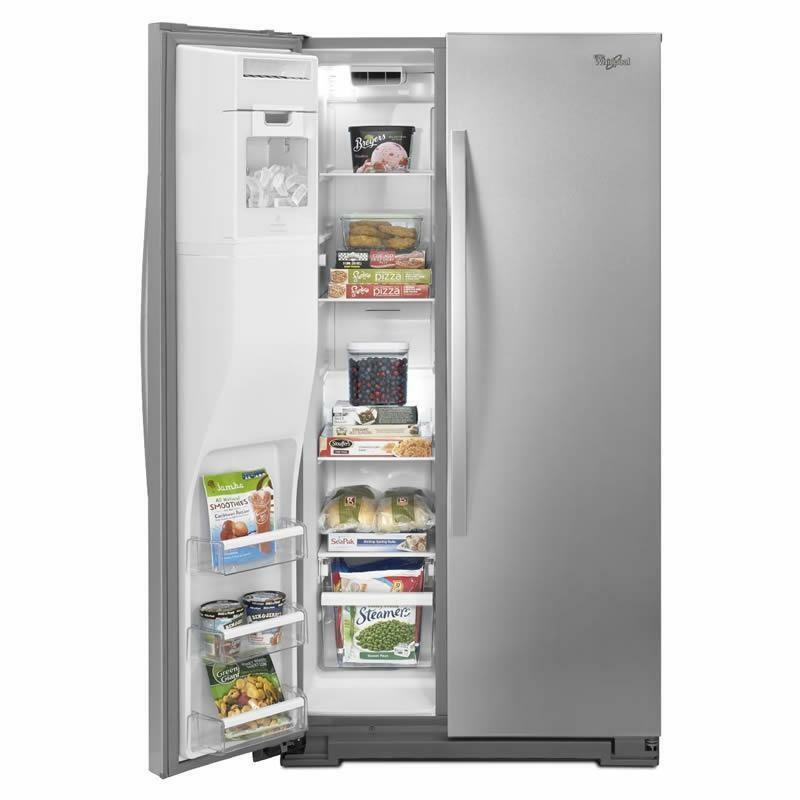 This refrigerator features Accu-Chill™ temperature management system, LED interior lighting and FreshFlow™ air filter. Total 25.6 cu. ft. / 0.72 cu. m.
Refrigerator 16.7 cu. ft. / 0.47 cu. 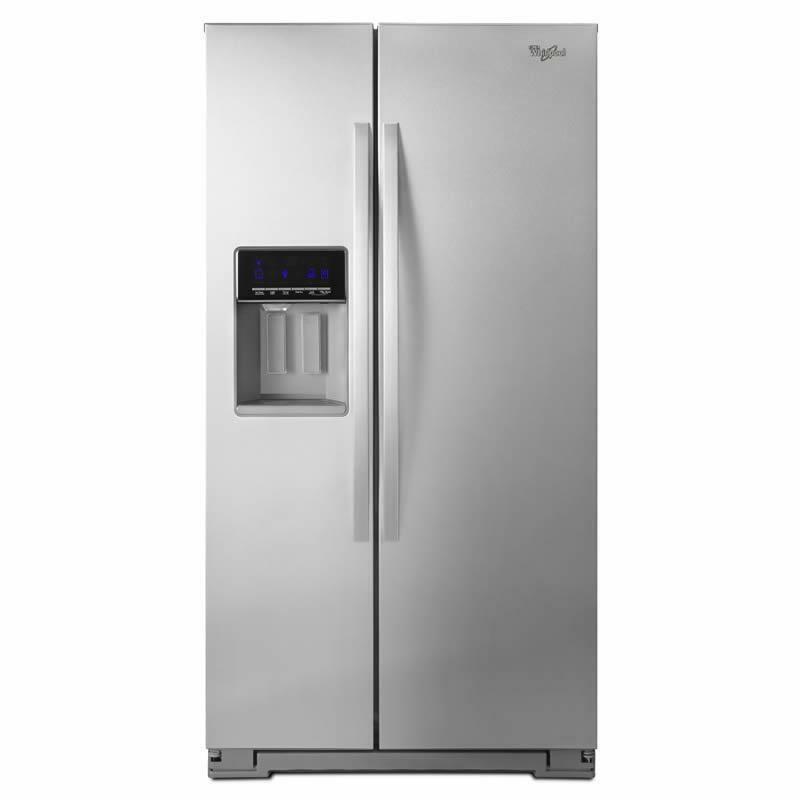 m.
• 3 Adjustable Full-Width Freezer Bins. • Factory Installed Ice Maker.